Ansley at the door to a Maison Surrenne cellar. 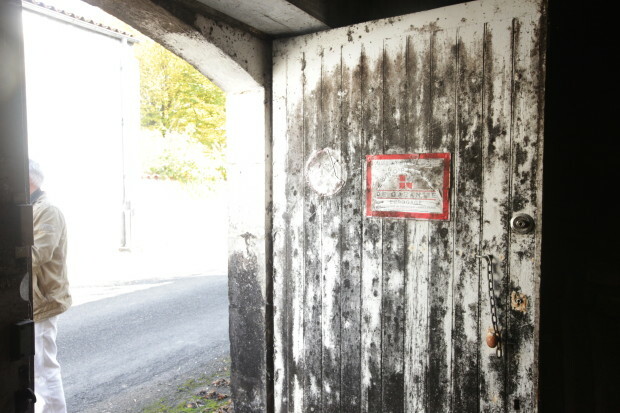 The black stuff is a local mold, Baudoinia Compniacensis, that grows on the evaporating fumes from barrels of cognac. Below our cellar at the ranch had it after a few years, probably from the old cognac barrels we were using. 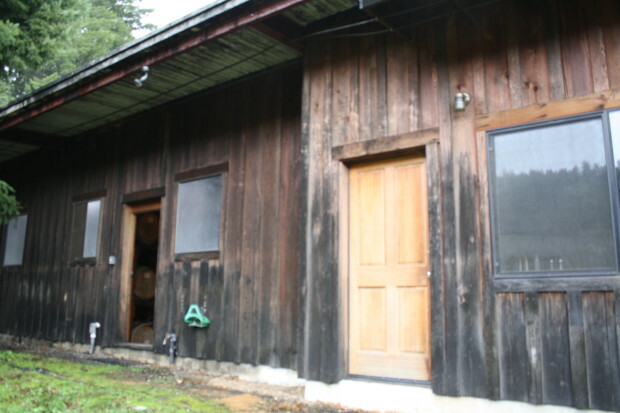 New releases, news of the distillery, etc. : sign up for our email newsletter. We're cutting back the mail catalogue to twice a year. We happily accept returns of goods that are defective or that were shipped in error. To make return arrangements, please contact us at 1-800-575-9997.